Part 1 will offer an overview of the entire paper and what to expect in coming blogs. 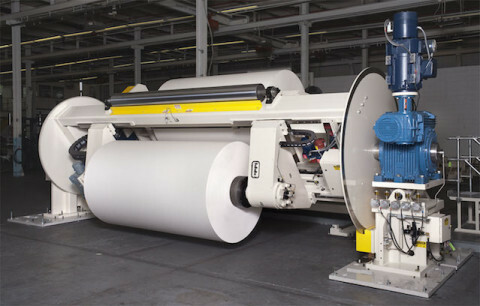 Part 2 will discuss the holding of the web rolls when unwinding and tension control of the unwinding material. Part 3 continues with the guiding of the web as it exits the unwind, how the end of the expiring roll’s web will be spliced to the beginning of the new roll’s web, and how the expiring roll’s web will be cut. Finally, part 4 will detail the number of unwind positions, offer a comparison of roll to roll versus continuous unwinding, and finish with a brief conclusion. There are many factors that need to be considered when selecting an unwind and unwind splicing system. These include how the rolls will be held in the unwind, how the unwind tension will be controlled, guiding of the web as it exits the unwind, how the material rolls will be spliced together and how the expiring roll’s web will be cut. Additionally, one needs to consider the number of unwind positions that are best for the application. This presentation will address the considerations of these topics when selecting an unwind and unwind splicing system. We will address the technical aspects of each of the above categories as well as the associated financial impact. We will also discuss certain associated safety concerns. For purposes of this paper we are assuming center type unwinds, where the material is supported through a core located in the middle of the roll.